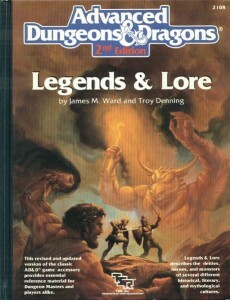 Mike Mearls gave us an "update" to the playtest of DnD Next in his new Legends and Lore article. First, I'm a big fan of what I've seen so far, but mentioning more material "before the end of summer" is too long a wait, in my opinion. And does that mean August or september? We're really supposed to go 3 months without more material? With full time designers in the digital age? We should see character creation for Fighters, Clerics, Rogues and Wizards through level 10 and it should be by july 10th, at the latest. I understand that they want to have polish to what they release, but it is a playtest, we're here to give feedback and provide much of that polish. I'm beginning to wonder if their target date is really August of 2013 at the pace they are moving (that's the date I've been assuming, I don't have any "inside knowledge"). At the bare minimum, we should the pregens extended to level 5. Hopefully the "or sooner" will be much, much sooner. Agreed. The playtest does not seem as well organized as it should be. We have done what we can with what was in the basic packet, now give us new stuff to play with (and break). I understand that WotC is controlled by Hasbro and isn't as agile as Paizo, but I think WotC has more staff. Let us make characters, give us a chance to flex our muscles. The icing on the cake for me was when Tom LaLpille mentioned Mearls' tactical module as something he hadn't seen! Really? Shouldn't he have seen that? The big point is that I'm excited, but don't lose my excitement by making me wait until September.